What is Squirrels doing? It's not Wednesday! She must need to check her calendar!! It has been a week of WTHs- trust me! So much going on and so little time to tell you all about it. What The Heck is going on in the hallway? 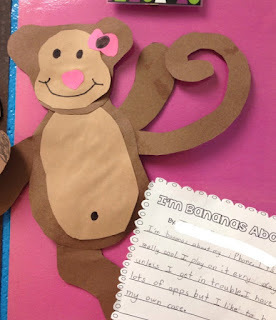 We had a great time getting ready for Valentine's Day with Stephanie's Bananas About You Pack ! 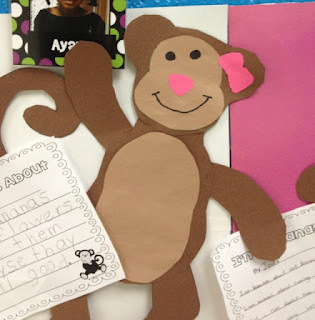 We used her adorable monkeys to help us get some feeling into our writing. WHAT ARE YOU BANANAS ABOUT??? This monkey is bananas about eating your face apparently. Scary. 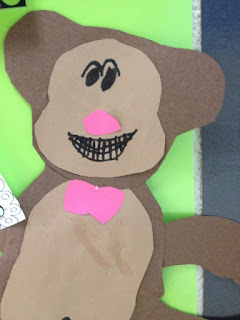 This monkey looks "schmarmy"...He could sell you a monkey car. This monkey is the envy of the monkey ball! 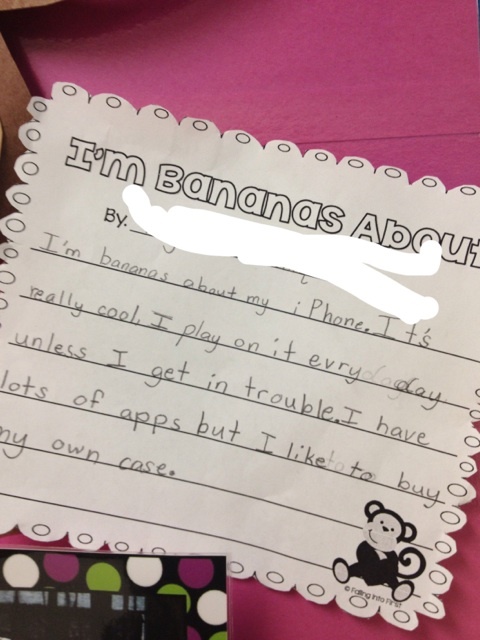 She is bananas about her iPhone. I assigned the graphic organizer that was with this pack as homework one night. "WTH??? 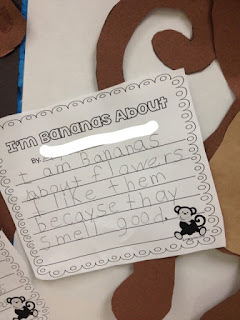 Miss Squirrels wants us to talk about being "bananas"!!" Their responses were terrific! 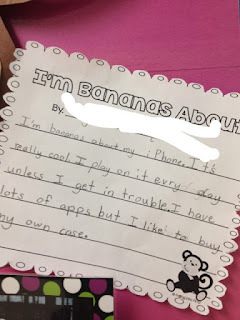 I have always assigned writing projects in the class because I wanted their work to be their own- but I think it was a good thing to let the parents and families help them look at things from a different perspective! 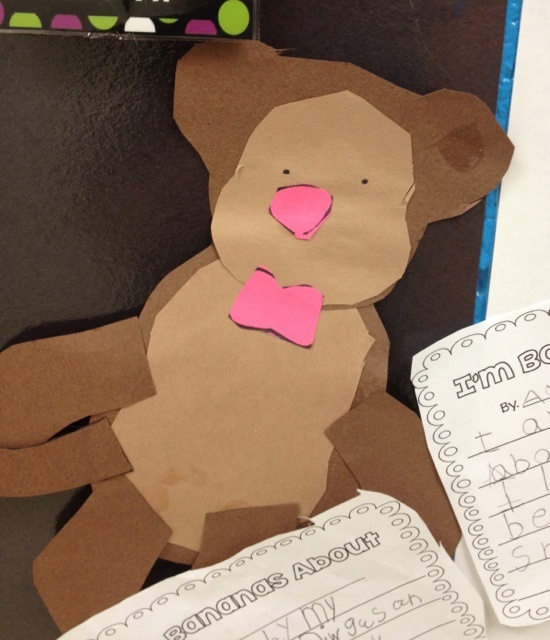 They still did the writing in class- but they had several choices to choose from because they had gone over them with their families at home. I have to admit. lightening that load a bit was nice. I will have to remember that for the next time! 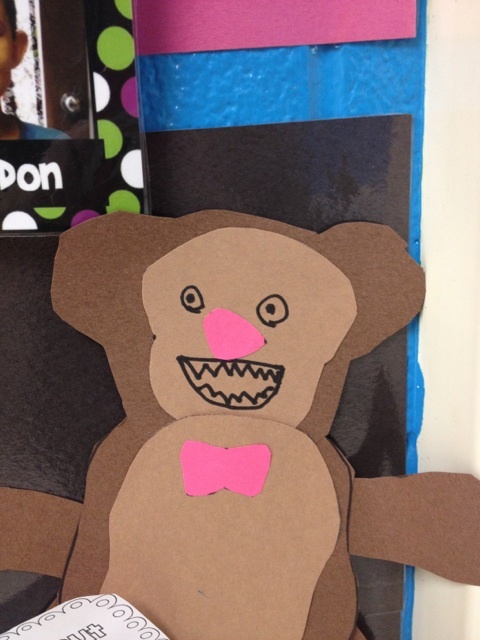 Yeah, cannibal monkey scares me. Yikes. Related to Evil Monkey from Family Guy? Lol. 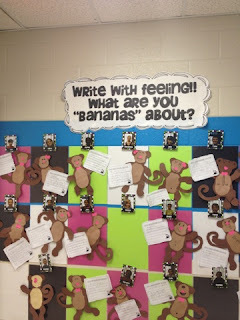 What a great idea to have the parents help the students brainstorm and complete their graphic organizers! Brilliant! That picture looks just like my puppy! 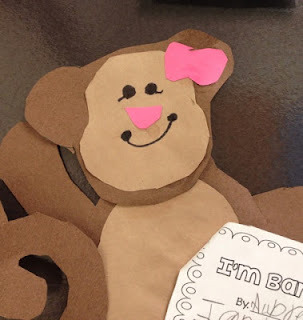 Love the idea of making some of the writing process homework. With littles, it's just so time intensive, great idea to have parents chip in! I'm totally doing that- thanks for the inspiration!